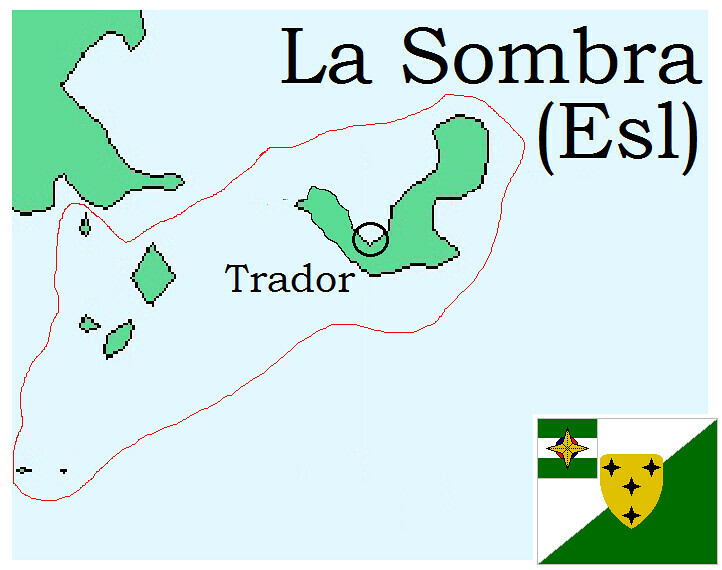 With all the tensions in Isla de Victoria, it was necessary to fortify La Sombra. As the island is surrounded by pointy rocks and cliffs, MAESTRO decided to build a fort on one of those cliffs. Sergeant Wilhelmus was appointed choosing the perfect location. After some exploring, he found a spot with some cococonuttrees closeby. Awesome! ^ On the lookout. The fort is equipped with some long range guns. As the first fort was set up, the first ships with settlers could arrive safely. So began the foundation of the settlement of Trador. Love the build! Great rockwork, and I like the coconuts! But I'm worried about the fort's foundation. i already tought I recognised the Ninjago-set you won at Wetteren! A sad day when a coconut island has no monkeys even metallic gray ones! 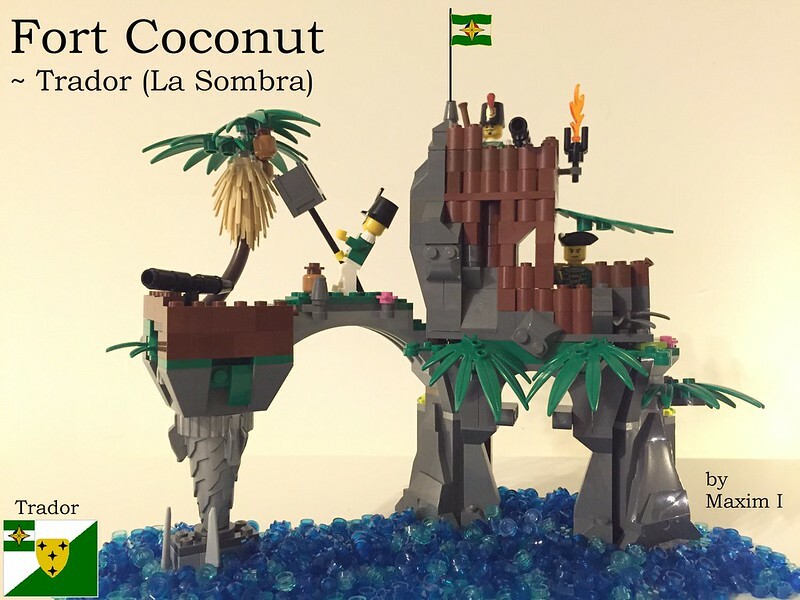 The coconut tree and coconut catcher are both awesome. This is a nice fort idea, but I will share the concerns that the foundation looks weak. The Ninjago set is recognisable but you perfectly adapt it to a old fashion piratey set. Good job on that ! haha! Lovely built!! very nice work with the rocks!